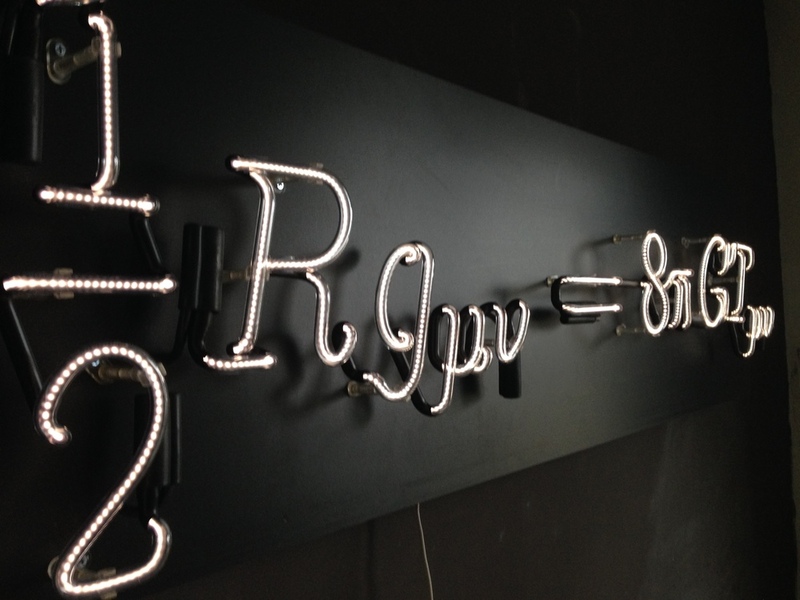 The Neon Equation Series gathers formulas meant to elegantly describe the nature of the universe, yet are impenetrable to most lay-people. Neon was selected as the medium to make light of the complexity, as it were, and also poke a bit of fun at the art world's uncharacteristically uncritical acceptance of neon works as art. Krypton is a very finicky noble gas, and the electric current causes bubbles and flickering through the glass tubes. It was selected for its inconsistency, as well as for its natural color.